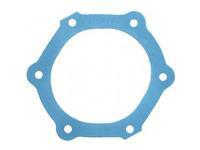 Water Pump Gasket, To plate. 5.7L, 350cid, V8, OHV, 4" bore, Chevy engine 1969-2002 Light Duty Truck. 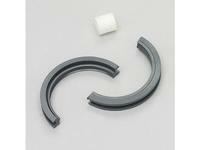 Repair Sleeve, Use with Installation tool. 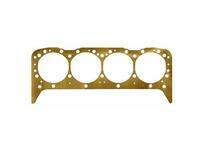 5.7L, 350cid, V8, OHV, 4" bore, Chevy engine 1969-1995 Light Duty Truck. 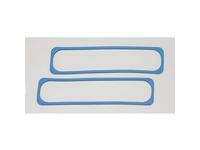 Repair Sleeve, Use with installation tool. 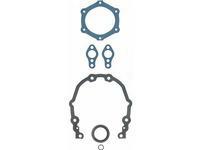 5.7L, 350cid, V8, OHV, 4" bore, Chevy engine 1986-1995 Light Duty Truck. 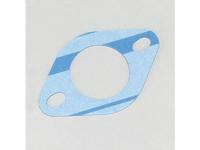 Repair Sleeve Tool. 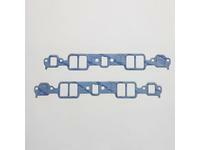 5.7L, 350cid, V8, OHV, 4" bore, Chevy engine 1986-1995 Light Duty Truck. 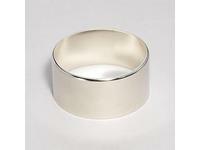 Repair Sleeve Tool. 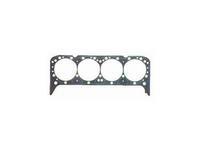 5.7L, 350cid, V8, OHV, 4" bore, Chevy engine 1969-1995 Light Duty Truck. 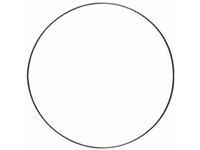 Water Outlet Gasket, Gasket, 1 13/16" Inside diameter. 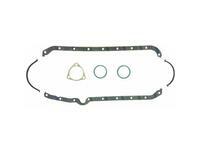 5.7L, 350cid, V8, OHV, 4" bore, Chevy engine 1969-1995 Light Duty Truck. 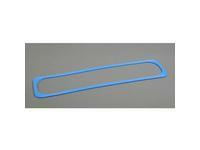 Water Outlet Gasket 1969-95 Chevy 350 - 1 13/16" Inside Dia. 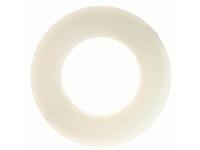 Thermostat Seal/O-Ring 1991-02 Chevy 350 V8, OHV 4" Bore, 1.954" Inside Dia. 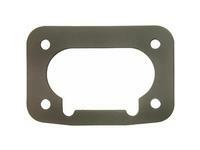 Fuel Pump Mounting Gasket, Plate. 5.7L, 350cid, V8, OHV, 4" bore, Chevy engine 1969-2002 Light Duty Truck. 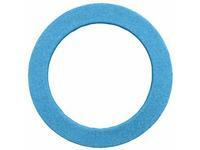 Air Cleaner Gasket, with 2 barrel, 2 5/8" Inside diameter. 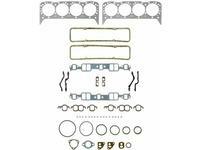 5.7L, 350cid, V8, OHV, 4" bore, Chevy engine 1969-1972 Light Duty Truck. 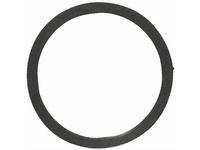 Air Cleaner Gasket 1987-96 Chevy 350 V8 OHV, 4" Bore, 5 1/32" Inside Dia. Air Cleaner Gasket Chevy 1969-88, 350 4" Bore 5 1/32" Inside Dia. 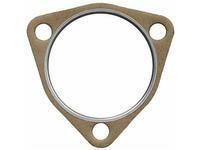 Exhaust Pipe Gasket, Packing, 1 3/4" Inside diameter . 5.7L, 350cid, V8, OHV, 4" bore, Chevy engine 1981-1986 Light Duty Truck. 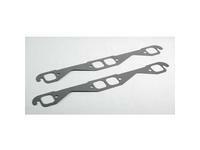 Exhaust Pipe Gasket w/ T.B.I. 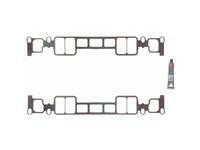 1987-96 Chevy 350 2 /14" Inside Dia. 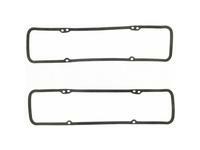 Exhaust Pipe Gasket 1987-88 Chevy 350 w/ 4 Barrel-2 1/2" Inside Dia. 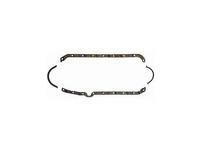 Exhaust Pipe Gasket 1987-96 Chevy 350w/TBI-2 3/32" Inside Dia. 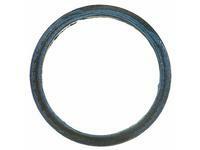 Exhaust Pipe Gasket 1987-88 Chevy 350 w/4 Barrel-2 3/32" Inside Dia. 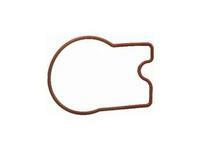 Exhaust Pipe Gasket 1969-86 Chevy 350-2 1/32" Inside Dia. 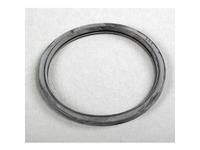 Exhaust Pipe Gasket 1969-86 Chevy 350-2 17/32" Inside Dia. 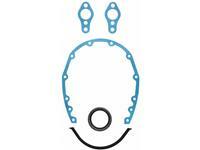 Drain Plug Gasket. 5.7L, 350cid, V8, OHV, 4" bore, Chevy engine 1996-2002 Light Duty Truck. 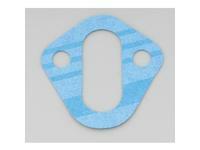 Drain Plug Gasket. 5.7L, 350cid, V8, OHV, 4" bore, Chevy engine 1969-1995 Light Duty Truck. 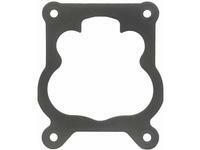 Exhaust Gas Recirculation Gasket, Two Required. 5.7L, 350cid, V8, OHV, 4" bore, Chevy engine 1975-1986 Light Duty Truck. 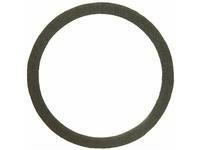 Choke Mounting Tube Gasket. 5.7L, 350cid, V8, OHV, 4" bore, Chevy engine 1975-1985 Light Duty Truck. 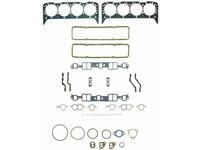 Head Gasket, Head bolts not included but, recommended by the manufacturer and Fel-Pro, PermaTorque, Two Required. 5.7L, 350cid, V8, OHV, 4" bore, Chevy engine 1969-2002 Light Duty Truck. 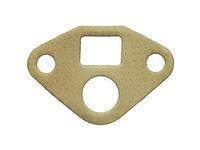 Head Gasket, Head bolts not included but, recommended by the manufacturer and Fel-Pro, Embossed Steel, Two Required. 5.7L, 350cid, V8, OHV, 4" bore, Chevy engine 1969-1976 Light Duty Truck. 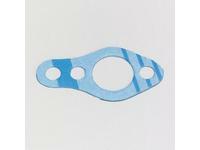 Head Gasket Spacer Shim, HeadSaver (Use with conventional Fel-Pro head gaskets where additional thickness is required), Two Required. 5.7L, 350cid, V8, OHV, 4" bore, Chevy engine 1969-2002 Light Duty Truck. 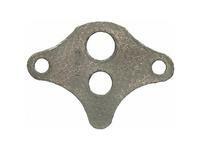 Head Gasket for Heavy Duty engine, Head bolts not included but, recommended by the manufacturer and Fel-Pro, Two Required. 5.7L, 350cid, V8, OHV, 4" bore, Chevy engine 1969-1976 Light Duty Truck. Exhaust Pipe Gasket, Packing, 2 17/32" Inside diameter. 5.7L, 350cid, V8, OHV, 4" bore, Chevy engine 1969-1986 Light Duty Truck. 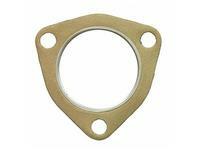 Exhaust Pipe Gasket, Heat riser, 2 3/4" bolt hole centers. 5.7L, 350cid, V8, OHV, 4" bore, Chevy engine 1969-1980 Light Duty Truck. 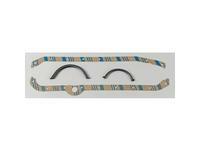 Rear Main Seal Set, Rubber, Two-piece, Offset double lip, Improved design. 5.7L, 350cid, V8, OHV, 4" bore, Chevy engine 1969-1985 Light Duty Truck. 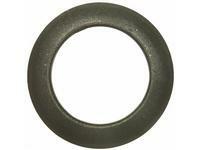 Rear Main Seal Set, Polytetrafluoroethylene rubber, One-piece. 5.7L, 350cid, V8, OHV, 4" bore, Chevy engine 1986-1995 Light Duty Truck. 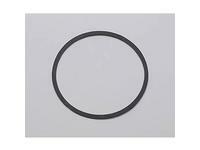 Rear Main Seal Set, Polytetrafluoroethylene rubber, One-piece, Improved design. 5.7L, 350cid, V8, OHV, 4" bore, Chevy engine 1996-2002 Light Duty Truck. 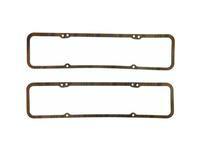 Gasket Conversion Set, PermaDry molded rubber oil pan gasket included. 5.7L, 350cid, V8, OHV, 4" bore, Chevy engine 1969-1985 Light Duty Truck. 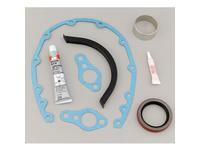 Gasket Conversion Set, PermaDry molded rubber oil pan gasket included. 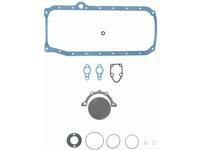 5.7L, 350cid, V8, OHV, 4" bore, Chevy engine 1986-1995 Light Duty Truck. 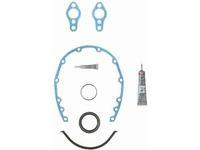 Gasket Conversion Set, Plastic timing cover not included, PermaDry molded rubber oil pan gasket included. 5.7L, 350cid, V8, OHV, 4" bore, Chevy engine 1996-2002 Light Duty Truck. 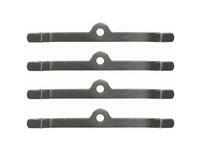 Oil Cooler Mounting Set. 5.7L, 350cid, V8, OHV, 4" bore, Chevy engine 1976-2002 Light Duty Truck. Load Spreader Set, Two Required. 5.7L, 350cid, V8, OHV, 4" bore, Chevy engine 1969-1986 Light Duty Truck. 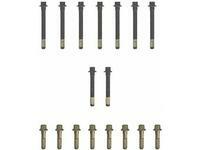 Head Bolt Set, Two Required, Replacement recommended by the manufacturer and Fel-Pro. 5.7L, 350cid, V8, OHV, 4" bore, Chevy engine 1969-2002 Light Duty Truck. 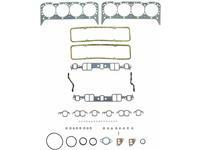 Full Gasket Set, PermaTorque, Head bolts & 2 17/32" Inside Diameter exhaust pipe packing not included, Head bolt replacement recommended by the manufacturer and Fel-Pro. 5.7L, 350cid, V8, OHV, 4" bore, Chevy engine 1969-1979 Light Duty Truck. 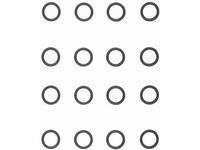 Full Gasket Set, Excluding "C20" & "G20" & "K20" & "C2500" & "G2500" & "K2500" & "C30" & "G30" & "K30" & "C3500" & "G3500" & "K3500" Models. 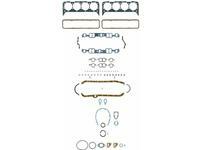 Full Gasket Set, Embossed Steel, Head bolts & 2 17/32" Inside Diameter exhaust pipe packing not included, Head bolt replacement recommended by the manufacturer and Fel-Pro. 5.7L, 350cid, V8, OHV, 4" bore, Chevy engine 1969-1976 Light Duty Truck. 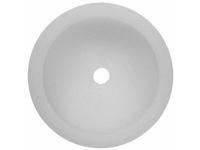 Head bolt replacement recommended by the manufacturer and Fel-Pro, PermaDry molded rubber valve cover gaskets included, Premium valve stem seals included. 5.7L, 350cid, V8, OHV, 4" bore, Chevy engine 1996-2002 Light Duty Truck. 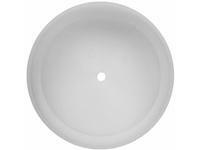 Head bolt replacement recommended by the manufacturer and Fel-Pro. 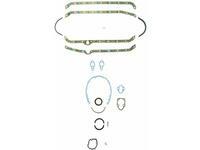 5.7L, 350cid, V8, OHV, 4" bore, Chevy engine 1969-1980 Light Duty Truck. 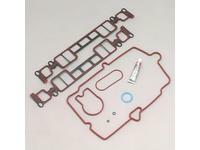 Head bolts & exhaust pipe packing not included, Head bolt replacement recommended by the manufacturer and Fel-Pro, Premium valve stem seals included. 5.7L, 350cid, V8, OHV, 4" bore, Chevy engine 1981-1986 Light Duty Truck. 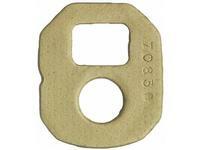 Head bolt replacement recommended by the manufacturer and Fel-Pro, PermaTorque Severe Duty, Two Required. 5.7L, 350cid, V8, OHV, 4" bore, Chevy engine 1969-1976 Light Duty Truck. 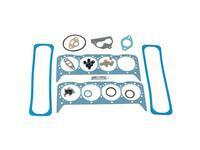 Intake Manifold Gasket Set with central port injection, Lower set, Upper set included. 5.7L, 350cid, V8, OHV, 4" bore, Chevy engine 1996-2002 Light Duty Truck. 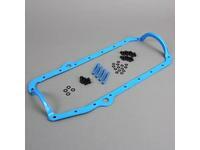 Intake Manifold Gasket Set with central port injection, Lower set only, Upper set not included. 5.7L, 350cid, V8, OHV, 4" bore, Chevy engine 1996-2002 Light Duty Truck. 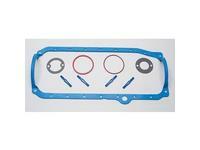 Plenum Gasket Set with central port injection, Upper set. 5.7L, 350cid, V8, OHV, 4" bore, Chevy engine 1996-2002 Light Duty Truck. 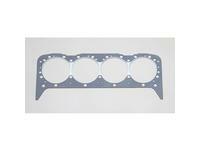 Intake Manifold Gasket Set with 4 barrel. 5.7L, 350cid, V8, OHV, 4" bore, Chevy engine 1987-1988 Light Duty Truck. 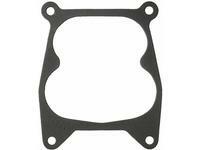 Intake Manifold Gasket Set with 4 barrel. 5.7L, 350cid, V8, OHV, 4" bore, Chevy engine 1979-1986 Light Duty Truck. 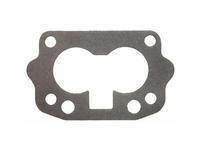 Intake Manifold Gasket Set with 2 barrel. 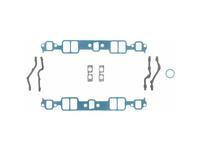 5.7L, 350cid, V8, OHV, 4" bore, Chevy engine 1979-1983 Light Duty Truck. 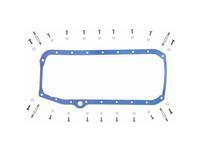 Intake Manifold Gasket Set, Excluding "C20" & "G20" & "K20" & "C2500" & "G2500" & "K2500" & "C30" & "G30" & "K30" & "C3500" & "G3500" & "K3500" Models. 5.7L, 350cid, V8, OHV, 4" bore, Chevy engine 1978 Light Duty Truck. 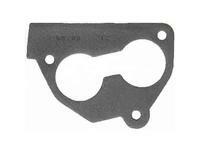 Intake Manifold Gasket Set with 2 barrel. 5.7L, 350cid, V8, OHV, 4" bore, Chevy engine 1977 Light Duty Truck. 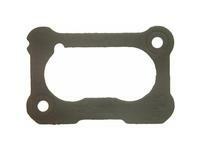 Intake Manifold Gasket Set with 2 barrel. 5.7L, 350cid, V8, OHV, 4" bore, Chevy engine 1975 Light Duty Truck. 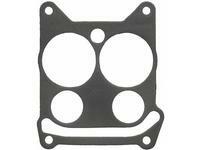 Intake Manifold Gasket Set with 4 barrel. 5.7L, 350cid, V8, OHV, 4" bore, Chevy engine 1975 Light Duty Truck. 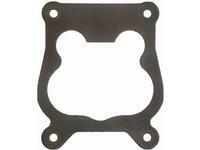 Intake Manifold Gasket Set with 2 barrel. 5.7L, 350cid, V8, OHV, 4" bore, Chevy engine 1974 Light Duty Truck. 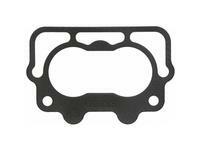 Intake Manifold Gasket Set with 2 barrel. 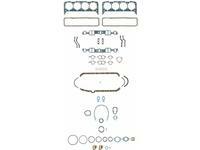 5.7L, 350cid, V8, OHV, 4" bore, Chevy engine 1969-1973 Light Duty Truck. 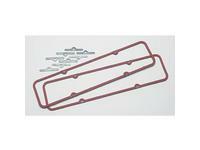 Intake Manifold Gasket Set with 2 barrel, "C20" & "G20" & "K20" & "C2500" & "G2500" & "K2500" & "C30" & "G30" & "K30" & "C3500" & "G3500" & "K3500" Models. 5.7L, 350cid, V8, OHV, 4" bore, Chevy engine 1978 Light Duty Truck. 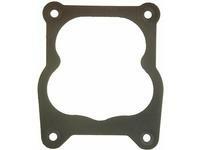 Intake Manifold Gasket Set with 4 barrel. 5.7L, 350cid, V8, OHV, 4" bore, Chevy engine 1977 Light Duty Truck. 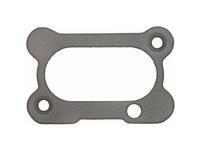 Intake Manifold Gasket Set with 2 barrel. 5.7L, 350cid, V8, OHV, 4" bore, Chevy engine 1976 Light Duty Truck. 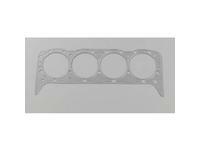 Intake Manifold Gasket Set with 4 barrel. 5.7L, 350cid, V8, OHV, 4" bore, Chevy engine 1976 Light Duty Truck. 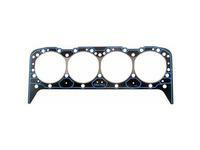 Intake Manifold Gasket Set with 4 barrel. 5.7L, 350cid, V8, OHV, 4" bore, Chevy engine 1974 Light Duty Truck. 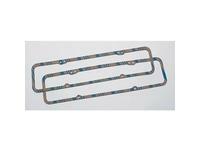 Intake Manifold Gasket Set with 4 barrel, "C20" & "G20" & "K20" & "C2500" & "G2500" & "K2500" & "C30" & "G30" & "K30" & "C3500" & "G3500" & "K3500" Models. 5.7L, 350cid, V8, OHV, 4" bore, Chevy engine 1978 Light Duty Truck. 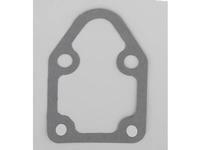 Intake Manifold Gasket Set with central port injection, Single valve cover gasket included, Upper set included, PermaDryPlus intake manifold gaskets included 5.7L, 350cid, V8, OHV, 4" bore, Chevy engine 1996-2002 Light Duty Truck. 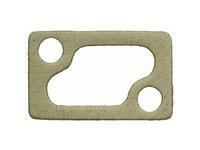 Oil Pan Gasket Set, Cork. 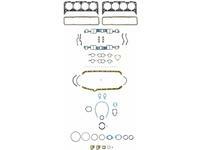 5.7L, 350cid, V8, OHV, 4" bore, Chevy engine 1980-1985 Light Duty Truck. 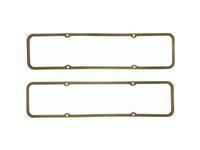 Oil Pan Gasket Set, PermaDry molded rubber gasket included. 5.7L, 350cid, V8, OHV, 4" bore, Chevy engine 1986-2002 Light Duty Truck. 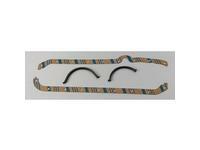 Oil Pan Gasket Set without Exhaust pipe packing, PermaDryPlus. 5.7L, 350cid, V8, OHV, 4" bore, Chevy engine 1969-1974 Light Duty Truck. 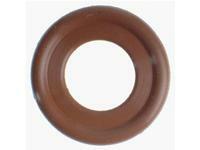 Valve Stem Seal Set, Optional Umbrella seal for use with O-ring seal. 5.7L, 350cid, V8, OHV, 4" bore, Chevy engine 1969-1980 Light Duty Truck. 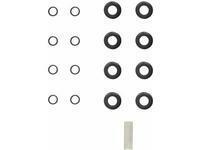 Valve Stem Seal Set, Exhaust, with 2 barrel, Premium valve stem seals included, "C20" & "G20" & "K20" & "C2500" & "G2500" & "K2500" & "C30" & "G30" & "K30" & "C3500" & "G3500" & "K3500" Models. 5.7L, 350cid, V8, OHV, 4" bore, Chevy engine 1981-1988 Light Duty Truck. 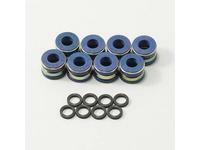 Valve Stem Seal Set, Exhaust, with throttle body injection, Premium valve stem seals included, "C20" & "G20" & "K20" & "C2500" & "G2500" & "K2500" & "C30" & "G30" & "K30" & "C3500" & "G3500" & "K3500" Models. 5.7L, 350cid, V8, OHV, 4" bore, Chevy engine 1987-1996 Light Duty Truck. 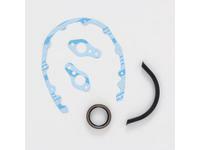 Valve Stem Seal Set, Exhaust, with 4 barrel, Premium valve stem seals included, "C20" & "G20" & "K20" & "C2500" & "G2500" & "K2500" & "C30" & "G30" & "K30" & "C3500" & "G3500" & "K3500" Models. 5.7L, 350cid, V8, OHV, 4" bore, Chevy engine 1981-1988 Light Duty Truck. 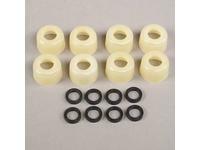 Valve Stem Seal Set, Exhaust, with throttle body injection, Premium valve stem seals included, Excluding "C20" & "G20" & "K20" & "C2500" & "G2500" & "K2500" & "C30" & "G30" & "K30" & "C3500" & "G3500" & "K3500" Models. 5.7L, 350cid, V8, OHV, 4" bore, Chevy engine 1987-1996 Light Duty Truck. 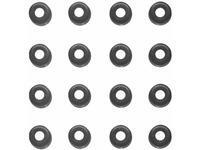 Valve Stem Seal Set, Exhaust, with 2 barrel, Premium valve stem seals included, Excluding "C20" & "G20" & "K20" & "C2500" & "G2500" & "K2500" & "C30" & "G30" & "K30" & "C3500" & "G3500" & "K3500" Models. 5.7L, 350cid, V8, OHV, 4" bore, Chevy engine 1981-1988 Light Duty Truck. 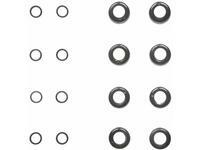 Valve Stem Seal Set, Exhaust, with 4 barrel, Premium valve stem seals included, Excluding "C20" & "G20" & "K20" & "C2500" & "G2500" & "K2500" & "C30" & "G30" & "K30" & "C3500" & "G3500" & "K3500" Models. 5.7L, 350cid, V8, OHV, 4" bore, Chevy engine 1981-1988 Light Duty Truck. Valve Stem Seal Set, Intake, with 2 barrel, Premium valve stem seals included. 5.7L, 350cid, V8, OHV, 4" bore, Chevy engine 1981-1988 Light Duty Truck. 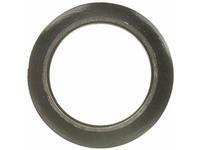 Valve Stem Seal Set, Intake, with 4 barrel, Premium valve stem seals included. 5.7L, 350cid, V8, OHV, 4" bore, Chevy engine 1981-1988 Light Duty Truck. 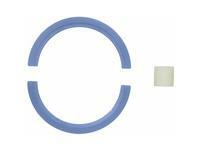 Valve Stem Seal Set, Intake, with throttle body injection, Premium valve stem seals included. 5.7L, 350cid, V8, OHV, 4" bore, Chevy engine 1987-1996 Light Duty Truck. 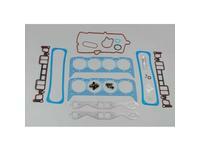 Valve Stem Seal Set, Intake and Exhaust, with Central port injection, Premium valve stem seals included, Improved design. 5.7L, 350cid, V8, OHV, 4" bore, Chevy engine 1996-2002 Light Duty Truck. 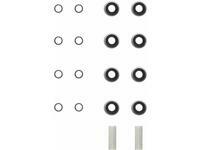 Valve Stem Seal Set, Exhaust, with 2 barrel, Optional High temperature, Premium valve stem seals included, Excluding "C20" & "G20" & "K20" & "C2500" & "G2500" & "K2500" & "C30" & "G30" & "K30" & "C3500" & "G3500" & "K3500" Models. 5.7L, 350cid, V8, OHV, 4" bore, Chevy engine 1981-1988 Light Duty Truck. 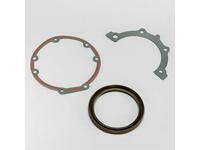 Valve Stem Seal Set, Exhaust, with throttle body injection, Optional High temperature, Premium valve stem seals included, Excluding "C20" & "G20" & "K20" & "C2500" & "G2500" & "K2500" & "C30" & "G30" & "K30" & "C3500" & "G3500" & "K3500" Models. 5.7L, 350cid, V8, OHV, 4" bore, Chevy engine 1987-1996 Light Duty Truck. 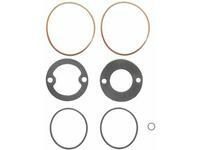 Valve Stem Seal Set, Exhaust, with 4 barrel, Optional High temperature, Premium valve stem seals included, Excluding "C20" & "G20" & "K20" & "C2500" & "G2500" & "K2500" & "C30" & "G30" & "K30" & "C3500" & "G3500" & "K3500" Models. 5.7L, 350cid, V8, OHV, 4" bore, Chevy engine 1981-1988 Light Duty Truck. 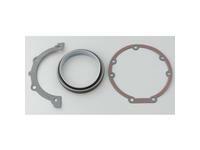 Valve Stem Seal Set, Exhaust, with throttle body injection, Optional High temperature, Premium valve stem seals included, "C20" & "G20" & "K20" & "C2500" & "G2500" & "K2500" & "C30" & "G30" & "K30" & "C3500" & "G3500" & "K3500" Models. 5.7L, 350cid, V8, OHV, 4" bore, Chevy engine 1987-1996 Light Duty Truck. Valve Stem Seal Set, Exhaust, with 4 barrel, Optional High temperature, Premium valve stem seals included, "C20" & "G20" & "K20" & "C2500" & "G2500" & "K2500" & "C30" & "G30" & "K30" & "C3500" & "G3500" & "K3500" Models. 5.7L, 350cid, V8, OHV, 4" bore, Chevy engine 1981-1988 Light Duty Truck. 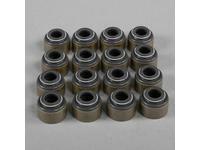 Valve Stem Seal Set, Exhaust, with 2 barrel, Optional High temperature, Premium valve stem seals included, "C20" & "G20" & "K20" & "C2500" & "G2500" & "K2500" & "C30" & "G30" & "K30" & "C3500" & "G3500" & "K3500" Models. 5.7L, 350cid, V8, OHV, 4" bore, Chevy engine 1981-1988 Light Duty Truck. 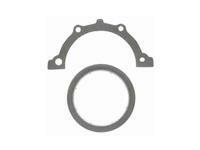 Timing Cover Set, without Sleeve 'N' Seal, Must be used with OS34500R. 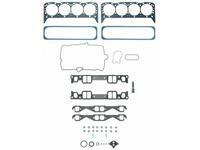 5.7L, 350cid, V8, OHV, 4" bore, Chevy engine 1986-1995 Light Duty Truck. 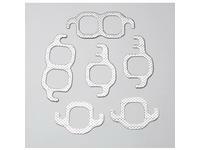 Timing Cover Set, without Sleeve 'N' Seal. 5.7L, 350cid, V8, OHV, 4" bore, Chevy engine 1975-1985 Light Duty Truck. 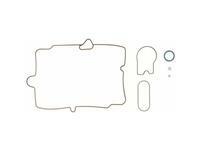 Timing Set with Sleeve & Seal. 5.7L, 350cid, V8, OHV, 4" bore, Chevy engine 1969-1974 Light Duty Truck. 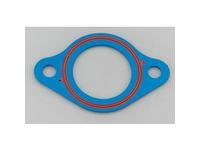 Timing Set with Sleeve & Seal, Must be used with OS34500R. 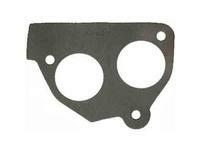 5.7L, 350cid, V8, OHV, 4" bore, Chevy engine 1986-1995 Light Duty Truck. 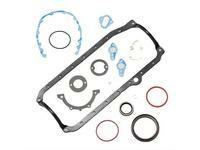 Valve Cover Gasket Set, Services one cover only, Two Required, PermaDry molded rubber gasket included. 5.7L, 350cid, V8, OHV, 4" bore, Chevy engine 1987-2002 Light Duty Truck. 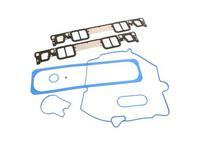 Valve Cover Gasket Set, Services both covers, PermaDry molded rubber gaskets included. 5.7L, 350cid, V8, OHV, 4" bore, Chevy engine 1987-2002 Light Duty Truck. 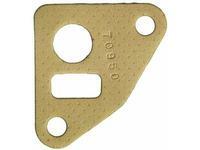 Valve Cover Gasket Set, High temperature, Cork. 5.7L, 350cid, V8, OHV, 4" bore, Chevy engine 1969-1986 Light Duty Truck. 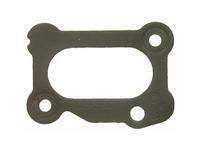 Valve Cover Gasket Set, Rubber. 5.7L, 350cid, V8, OHV, 4" bore, Chevy engine 1969-1986 Light Duty Truck.